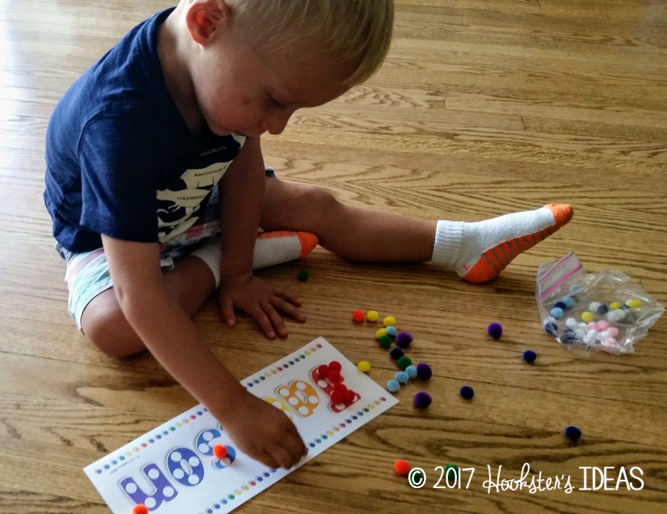 Working with your toddler to identify colors doesn't have to be an awful task. Here are some creative, hands-on ways to teach and reinforce color identification and sorting. Kids learn best by doing and what better way to get involved in the learning process than by getting your hands on it, literally. The following are a few ways to make learning how to identify colors concrete and fun! 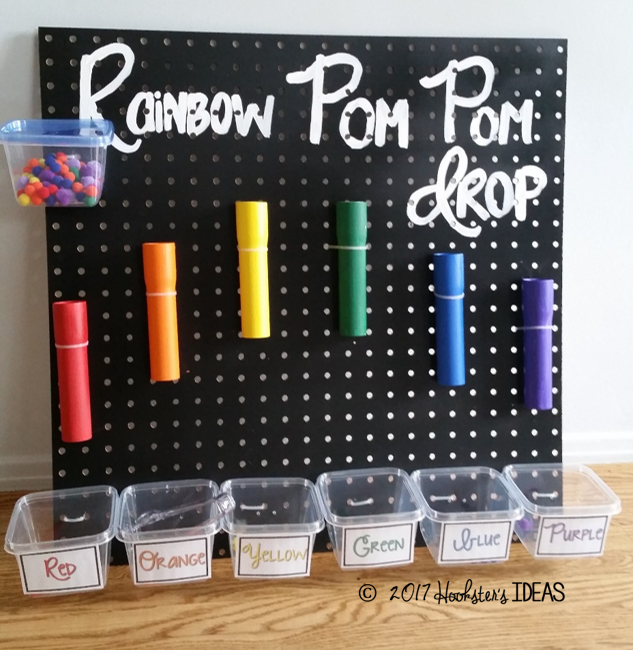 Use your child's name to create a rainbow of colors. Use colored pom poms to have the child match to the color of the letter. Put 2-4 pom poms on each letter to get repeated practice. Make sure that you are doing this with your child until they demonstrate mastery so that they aren't practicing incorrectly. Once the child master's this task, then they can work on it by themselves. It is important to ask probing questions and then make sure to wait until they respond. This may take a few seconds, but make sure you wait. Have your child pull out a colored pom pom from the box and then match it to the same color tube. Once they find it, then they can drop it down that tube into the appropriate color tube. Use tongs to help develop fine motor skills too. 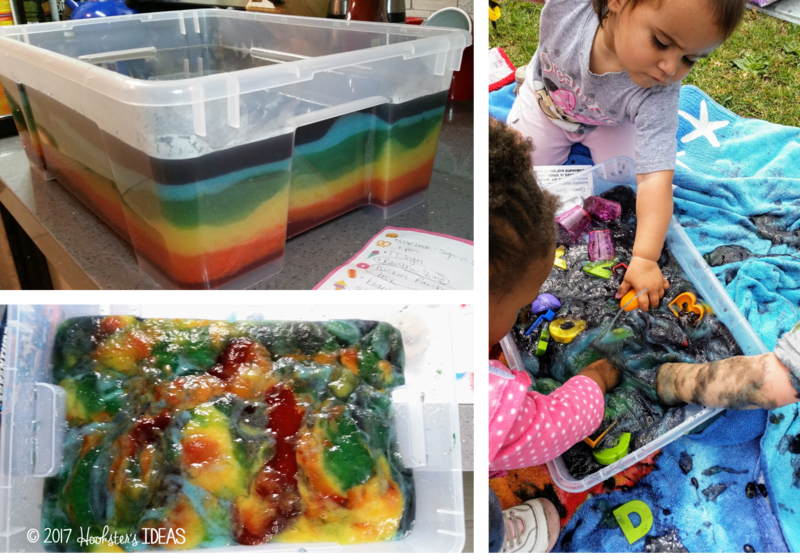 Making slime is a great way to make learning colors a tactile experience. Why not make a few batches and make each batch a different color? Have the child stretch it out and see what colors they see. Spoon it into cups. Hide toys in there! Some kids love this and others don't care for it, but it is great to expose your child to different textures frequently so that they don't develop phoebias! 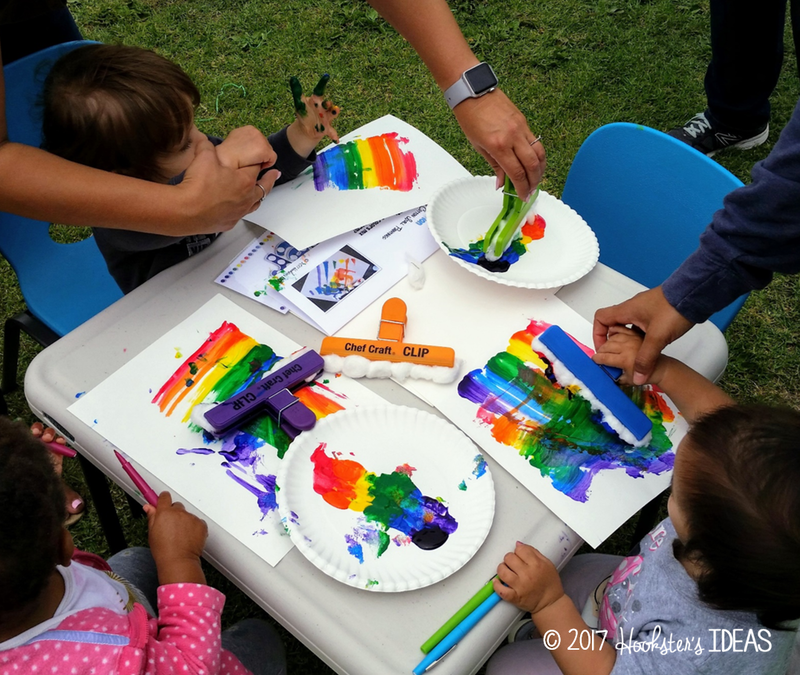 Use colored cotton balls and chip clips as a brush with the colors of the rainbow on a paper plate. Then use the "brush" to paint rainbows. Discuss what happens when some of the colors mix together. Ask them to find ____ (color) in their painting. Conversely ask them the names of the different colors by pointing to the different colors in their painting. 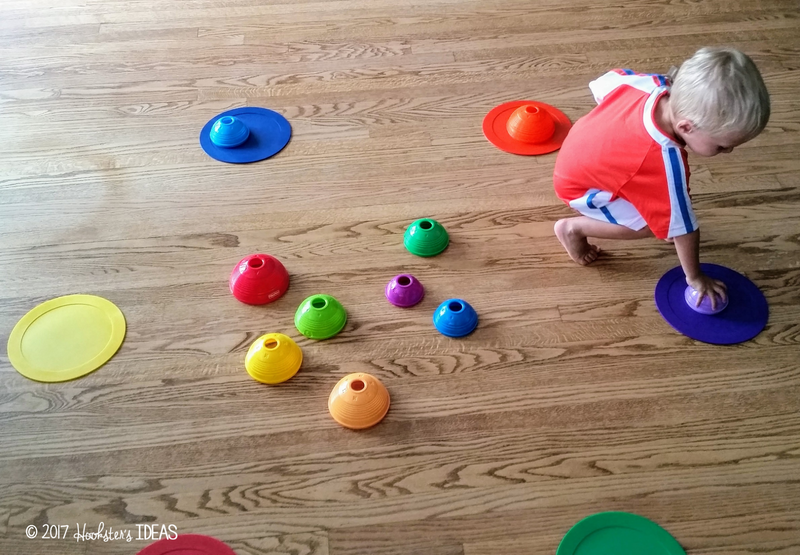 Using colored floor mats (or colored paper if you don't have the floor mats), have your child practice hopping from color to color. You can arrange them in different patterns (lines, shapes, designs, etc.) and have your child do different movements to get from one to the next (hop on two feet, hop on one foot, crawl, walk, waddle, etc.). 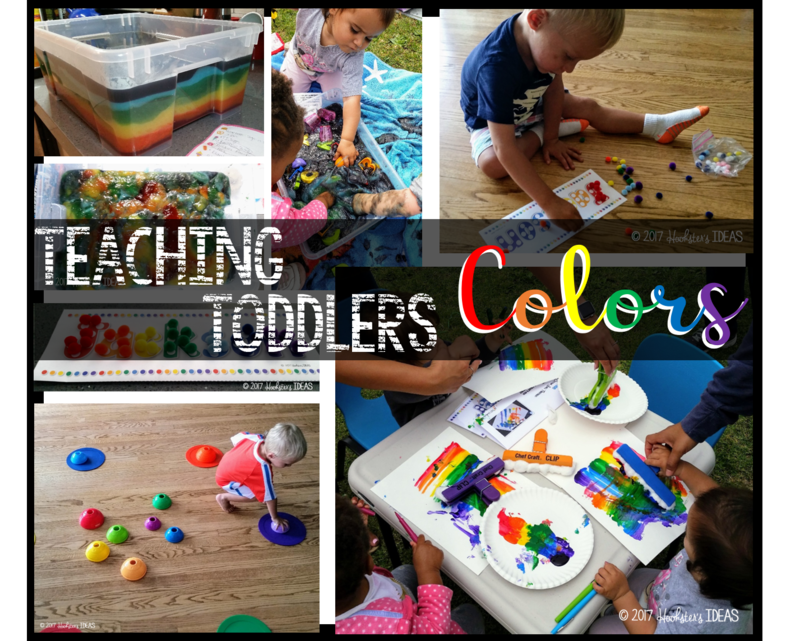 Once they master that, you can throw a bunch of different colored toys in the center and have your child sort the toys, by color, on each mat. If you are just starting out, just choose a few colors to focus on and gradually add more in. You can find these and some other great ideas for toddlers from my Tinkering Toddlers curriculum here. 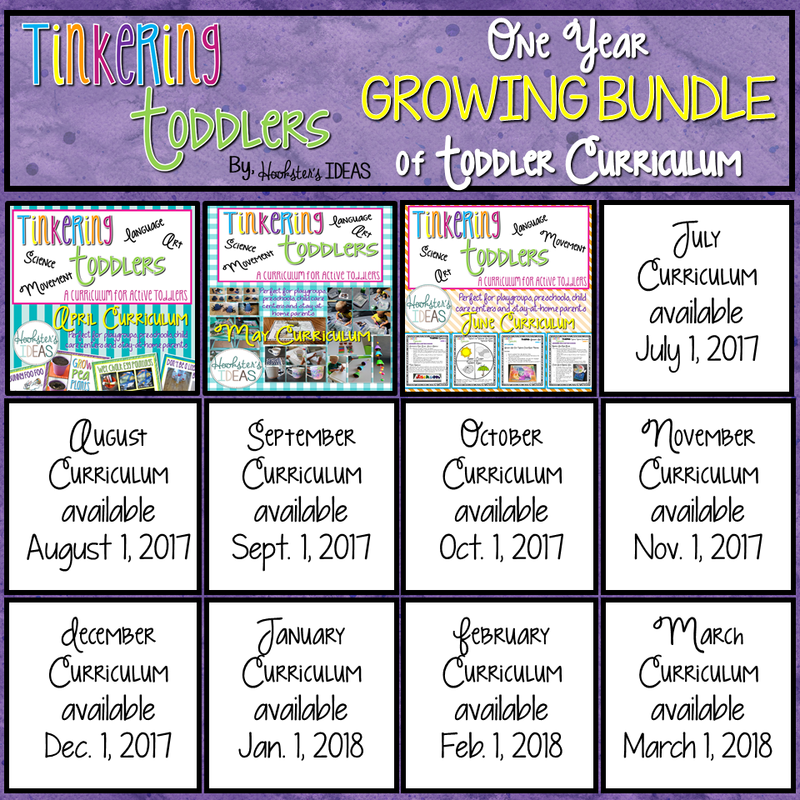 This is a growing bundle which means that each month it will increase by $4 as I add another month's curriculum. By pre-purchasing the rest of the year, you will be able to get the whole curriculum deeply discounted (each month is typically $8 if bought individually).